We maintain a large collection of fine Diamond and Precious Metal pieces and specialize in custom designs. We invite repairs and inquiries of any kind. Stop by today to check us out! 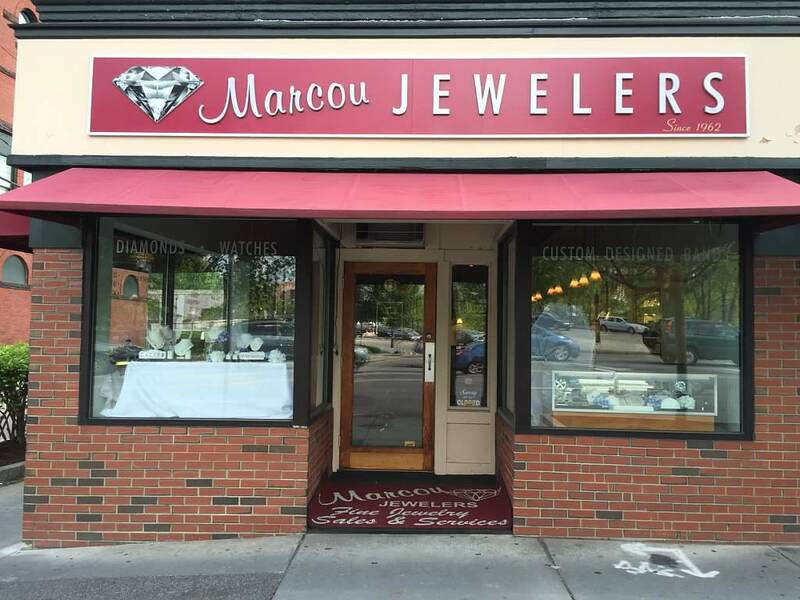 Welcome to Marcou Jewelers of Watertown! Marcou Jewelers has been a family owned and operated jewelry business for over 50 years that offers quality diamond jewelry, as well as fashion jewelry. It was established in 1962 by our parents, Jack and Elinor Marcou of Waltham, MA. 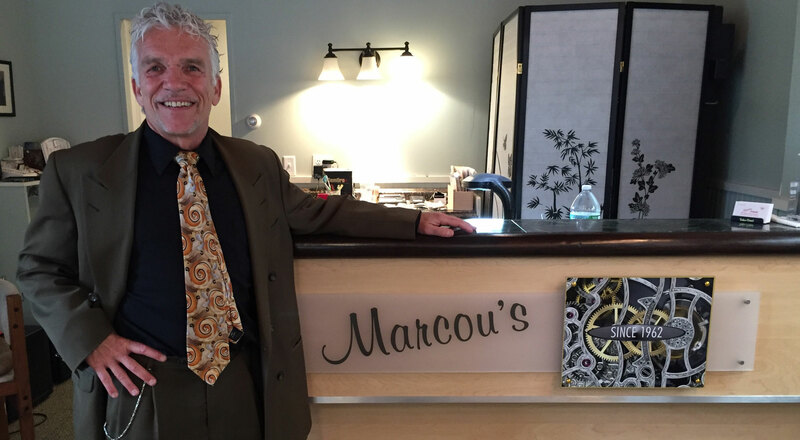 Since then, Marcou Jewelers has become a well known jeweler in the Waltham, Watertown, and Belmont area. Our locations are individually owned by family member(s). Most recently, Kenny Marcou, moved to 13 Main Street, located in Watertown Square. Previously to this, Kenny had resided at the Watertown Mall for 30 yrs. Later, relocated at the Arsenal Mall for 8 yrs. Our goal, as fine jeweler, is to give every customer our honesty and expertise with competitive pricing. Come visit us for that special occasion! We maintain a large collection of fine Diamond and Precious Metal pieces and specialize in custom designs. We invite repairs and inquiries of any kind.